Ultra-thin, meticulously crafted, with incredible screen resolution. This is the ultimate laptop. The quote above is taken from Microsoft’s website and as you can see they are calling it the ‘Ultimate Laptop’. But is it really as good as they say? On the 9th October, I was invited to London for Microsoft’s #RedefineLearn conference. It was here that I was shown just how good Microsoft are saying the Surface Book will be. I was privileged by seeing the only Surface Book in the country at the event and it caused much excitement between the attendees. I’m sat here typing this blog post on my beloved Macbook Pro to which I have thought about replacing many a time with a Windows device, but I am yet to see or find one that has the same build quality and classy look as the Macbook. 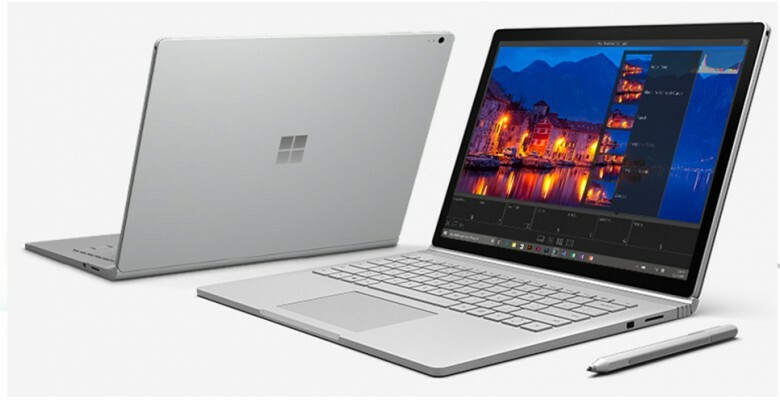 Since seeing the Surface Book, I am excited to get my hands on one and I’m feeling ready to ditch the MacBook once and for all. 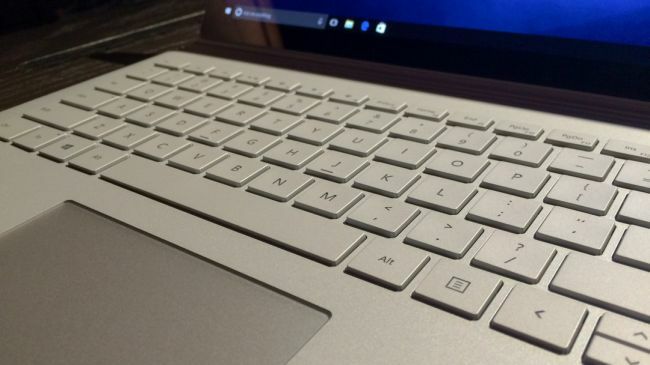 The brushed magnesium design of the Surface Book definitely gives it that stand out look. The glass laminated trackpad is said to be Microsoft’s best yet, this is always something that concerns me with a Windows devices as let’s face it Apple have always got that right on their devices. It comes in with a sharp 13.5″ touchscreen which produces 3000 x 2000 pixels at 226 ppi, this is definitely a selling point on its own. 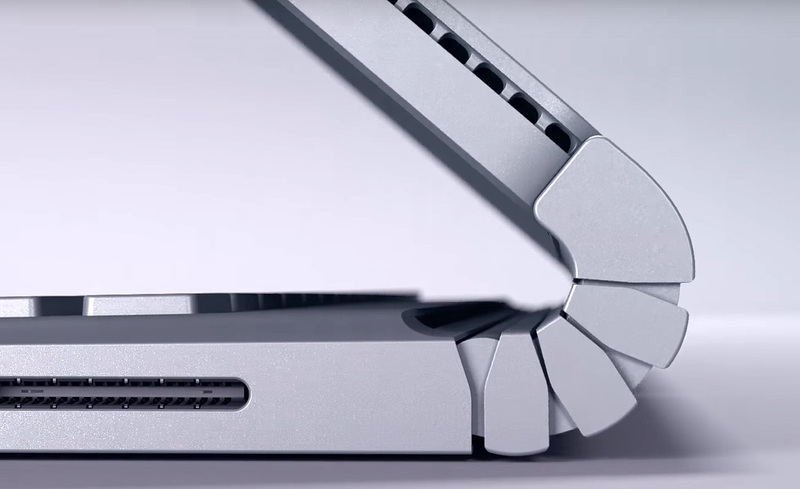 The Surface Book brings you a whole new hinge fitment for laptops which allows more movement. Yes, the screen doesn’t close completely flat but this is what makes the device stand out from the crowd even more with its sleek look design. The laptop comes in at a high spec with you deciding on either an Intel i5 or i7 processor and an SSD ranging from 128GB right up to 1TB. It also fitted with an SD card slot giving you the option to add more storage space if needed. Not only does it come with the high spec processor it’s also packing a 1GB Nvidia GeForce graphics card and either 8GB or 16GB of RAM. When looking at new devices I’m always asked about battery life and most laptops or tablets seem to produce around 9 hours of battery life. 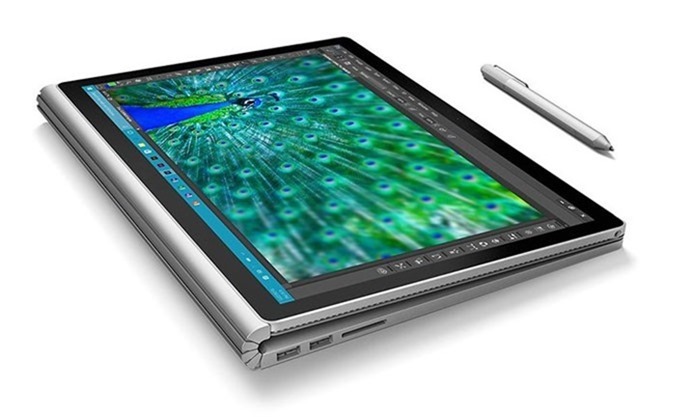 Well, the Surface Book is boasting a whopping 12 hours video playback battery life. 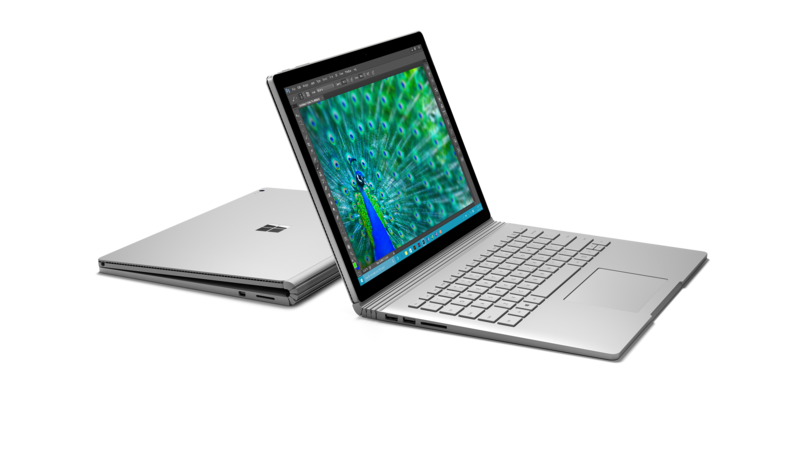 The new Surface Book appears to have all the specifications to be a high-end laptop and is beautifully designed to make it really stand out. To me, this laptop-tablet combo is screaming out to be the new must-have device. So is this going to be ‘The Ultimate Laptop’? I think yes…. yes it is.